site, and select appropriate fruit and perennial vegetable varieties that are adapted to our climate. with asparagus, blueberry, grape, horseradish, raspberry, and strawberry plants. ​All of our food-producing plants are sold as bare root (not potted) plants. 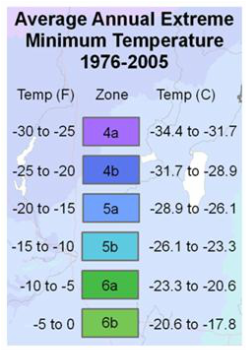 All the fruit trees and plants that we sell are hardy to zone 4, which is the coldest zone covering Wexford County. As far as blossom hardiness, apple and pear blossoms are consistently hardy throughout the county. However, if you live in the higher elevations of the county (the darkest areas on the map at right), you are in plant hardiness zone 4B, and you may find that the blossom buds of peaches and tart cherries are sometimes killed by frost. Plums and sweet cherries bloom even earlier, and those in zone 4B will frequently lose a crop to frost. Apples require cross-pollination. Two different varieties with similar bloom times within 100 feet of each other to ensure a crop. Freedom, honeygold, and Sweet Sixteen are grafted onto semi-dwarf EMLA 7 rootstock and will grow to heights of 12-15 feet. Red Duchess is on standard rootstock . Al are hardy to zone 4. This apple is immune to scab and mildew and doesn't need fungicide sprays! Fruit is large, red, crisp, juicy, and has a slight tart flavor. Will keep into January in cold storage. Ripens in early October. A red selection from the heirloom "Duchess of Oldenburg". Excellent for pies and sauces. Ripens in late August. Very winter hardy. Use fruit within a month of harvest. A yellow apple that is crisp, juicy, and sweet. Excellent for eating as well as cooking. Ripens in mid-September. Fruit will keep in storage for two to three months. Outstanding dessert apple with an excellent, sweet, unusual flavor - said to remind people of cherry candy. Resistant to fire blight. Very hardy. Ripens in late September. Keeps for two to three months in storage. Asparagus plants are sold as dormant, bare-root crowns. They require "sweet" soil with a pH of 6.5 - 7.5. Space plants 18-24" apart in rows that are at least 2' apart. First crops can be harvested in 2-3 years. These blueberry plants are bare-root plants (not in a pot). They are 12-18" tall. To produce fruit, you must plant at least two different blueberry varieties for cross-pollination. Blueberries prefer soils that are moist, with high organic matter, and with a pH close to 5.0. Space plants 5' apart in rows that are at least 6' apart. Late season variety that begins ripening in early August. Cherries come in both sweet and tart (pie) varieties. Both of our cherries are self-fertile and do not need a cross pollinator. They are grafted onto Mazzard rootstock, and will grow to heights of 12 - 15'. A dwarf tree that will grow only 8-10' tall. 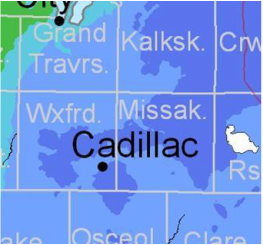 It was developed by the University of Minnesota and is hardy to zone 4. Great for pies. This variety of sweet cherry is one of the few that will thrive in zone 4b. The fruit is large, juice and sweet and resistant to browning. Table grapes are a wonderful addition to your backyard fruit collestion. We offer one year old vines that are "extra" grade which means that they have a heavier, more solid root structure, and have exhibited above average growth their first year. We have found a seeless version of the famous American grape with vigorous, hardy, and productive vines that produce medium sized clusters bearing large blue-black berries. Concord grapes are great for jelly, juice, and kosher wines. Will produce more than 20 pounds of fruit per vine when mature. These are 1-year old vines that are #1 grade which means that they have a 9-12" single branch or a 6-12" double branch. Give plants full sun and space them at least 8' apart. Our peach trees are grafted onto seedling rootstock, and will grow to a height of 12 - 15'. Peaches are self-fertile and do not require cross pollination. A freestone peach with bright yellow flesh. It is hardy to zone 4 and has good tolerance of spring frosts. Fruit is sweet and extra juicy. Suitable for fresh eating, canning, and freezing. Ripens in mid to late August. Pears require cross pollination - be sure to plant two compatible varieties. ​Blake's Pride and Beurre D'Anjou varieties will pollinate each other. Has excellent, aromatic flavor with a smooth, buttery texture. Resistant to fire blight. Ripens in early September. High quality, fine-textured pear whose flesh is mild and aromatic. Resistant to fire blight. Ripens in late September. Can be kept in cold storage until late spring. An excellent blue European plum for dessert, jam, and preserves. Has tender, juicy flesh. Considered the best blue cultivar for zone 4 of the Great Lakes region. This variety is self-fruitful and does not require cross-pollination. Hardy to zone 4. 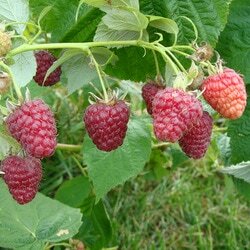 Raspberries will thrive in sandy soils, but are prone to disease in heavy or wet soils. We sell dormant, bare-root plants. Trellising is recommended for all raspberries. Space rows at least 5' apart. 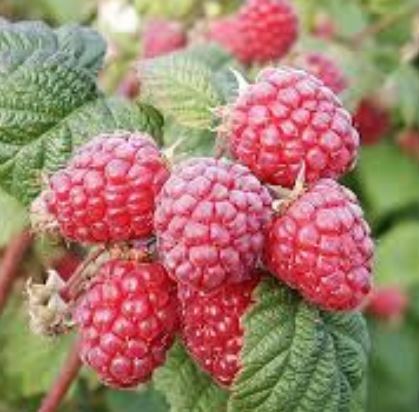 Red raspberries should be spaced 2' apart in rows. Black raspberries should be spaced 3' apart in rows. Our director says that after trialing more than a dozen varieties, it's the best tasting, most productive variety she's found. Fruit ripens in mid-July. A black raspberry with a rich flavor. Fruit ripens in early July. One of the earliest fruiting of the fall raspberries. Produces large berries with great flavor on thorn-less canes. Fruit ripens in early September. 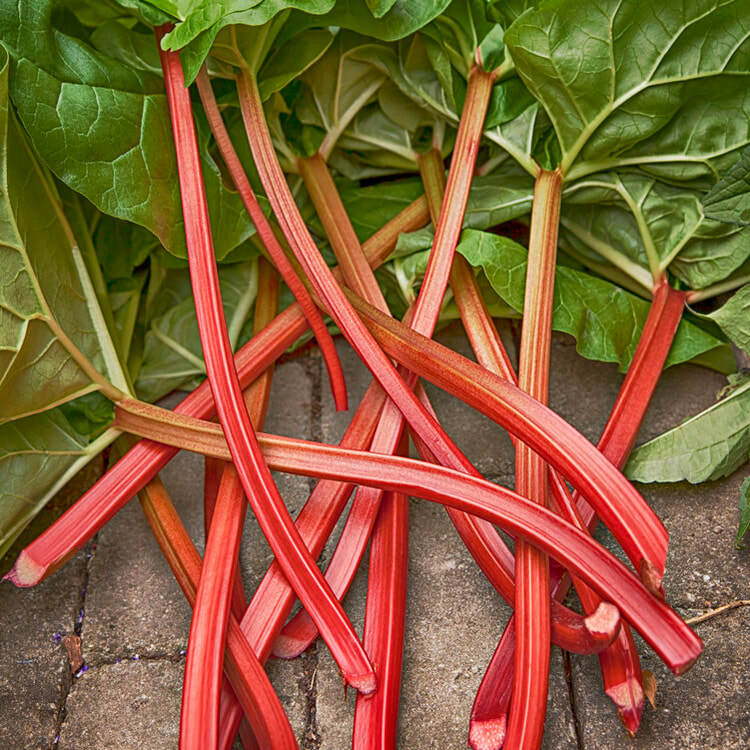 Our supplier tested 25 varieties and found this to be the sweetest and most thoroughly red of them all. Grows best on well-drained soils that have good organic matter content. Space plants 3' apart with at least 5" between rows. Strawberries grow best in well-drained soils rich in organic matter. Plants should be space 18" apart, with at least 3' between rows. June-bearing varieties produce one crop in early summer. Day-neutral varieties will flower continuously and produce fruit throughout the summer. We carry two varieties of June-bearing strawberries so that you can harvest fruit for a full month or more as well as day neutral varieties that will produce berries all summer. An early-season June-Bearing variety with excellent flavor. Berries are large in size. Resistant to red stele and Verticillium wilt. 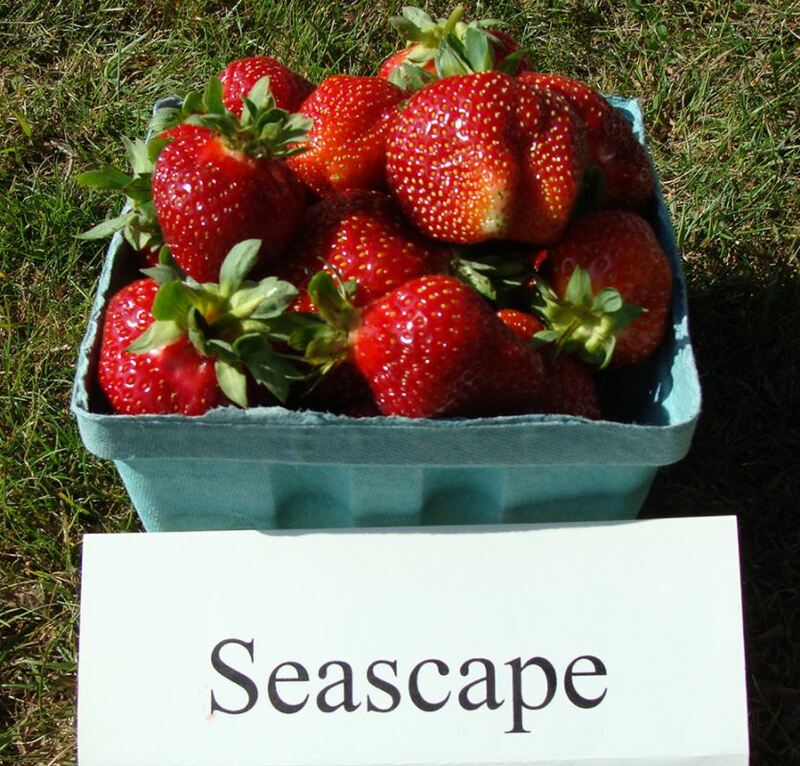 A late-season June-bearing variety that produces large berries with excellent flavor. Resistant to red stele and Verticillium wilt. 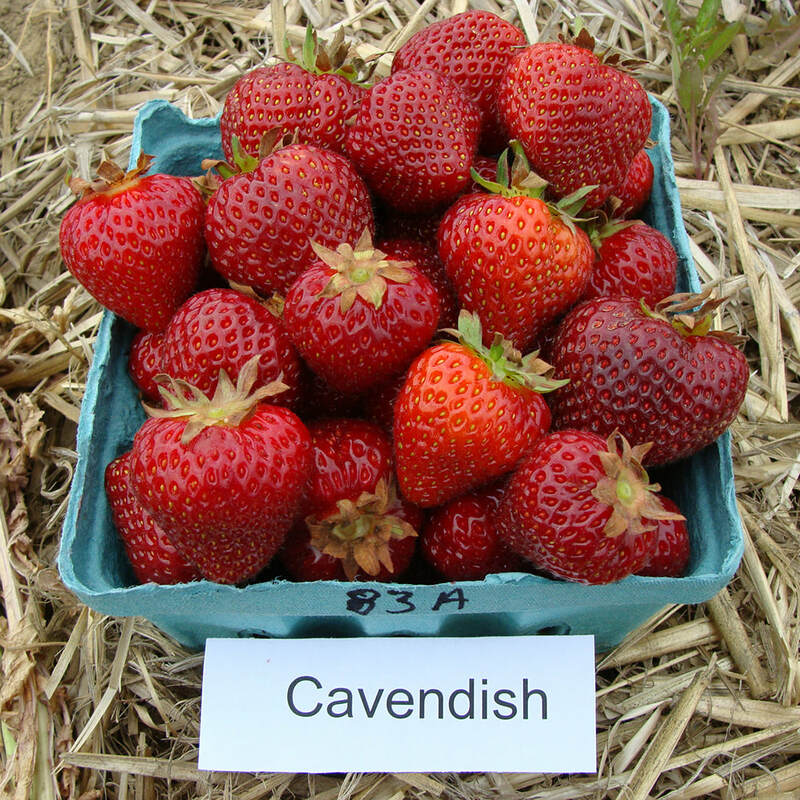 A day-neutral variety that produces large berries with excellent flavor. Said to be the best-tasting of the day-neutral varieties. A day--neutral variety that has resistance to Verticillium wilt and Phytopthora. Produces very large fruit with excellent flavor summer through fall.